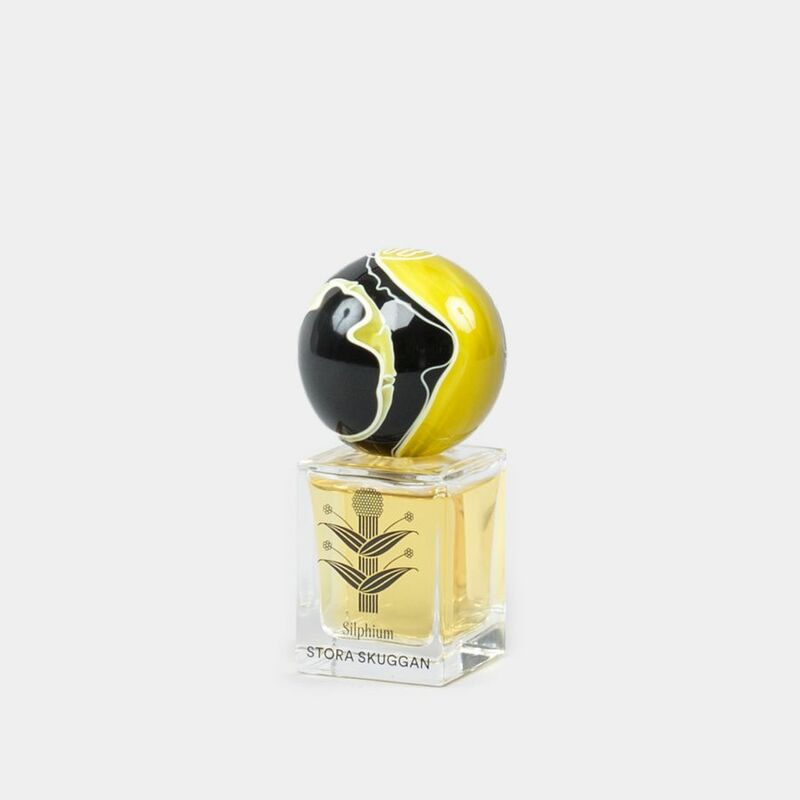 Silphium (probably of the genus Ferula) was a plant that grew in the area of Cyrene, present day Libya, and was widely renowned as a spice, medicinal herb and perfume ingredient throughout the empires of the classical antiquity. It was praised by Greek philosophers and writers, as well as Roman emperors and cookbook authors. There were many attempts to cultivate Silphium, but they inevitably failed. It would only grow wild in a limited area of the north African coast. 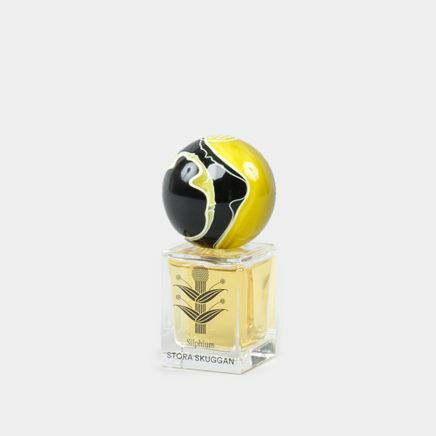 This is combination with its qualities as seasoning and medicine made Silphium the most valuable spice in the world, outshining both saffron and cinnamon. 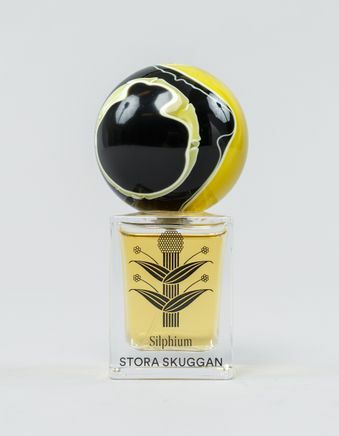 The demand for Silphium eventually became so overwhelming that it was harvested to extinction, and the taste and smell of the once greatest spice in the world was lost in time. Stora Skuggans rendition of this historical plant is created by researching surviving assumed relatives of Silphium, using aromachemicals (the molecular building blocks of scents) to create an accord that they feel represents what descriptions remains. This is set against a background of ancient incense, woods and leather. Made by hand in Stockholm. Stora Skuggan is a niche perfume brand from Sweden, founded in 2015. 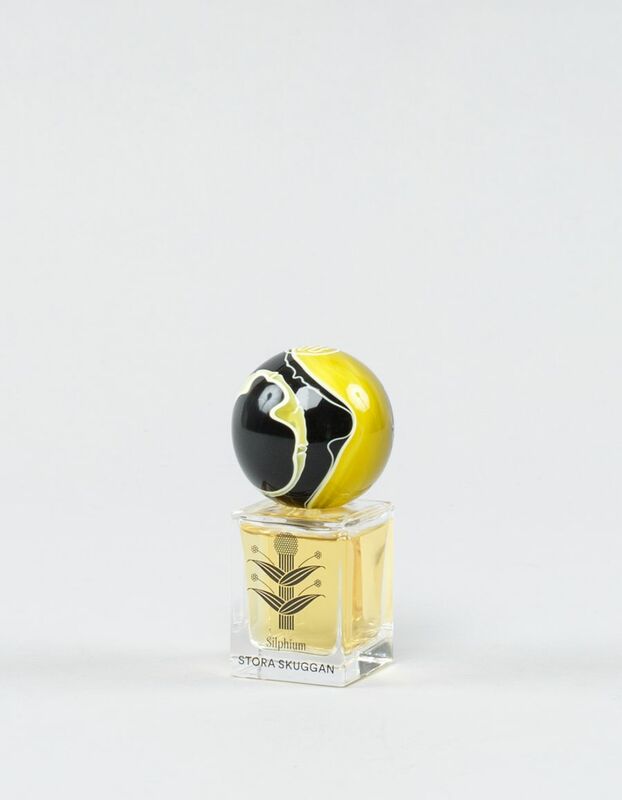 The brand is run by a small group of perfumers and designers. 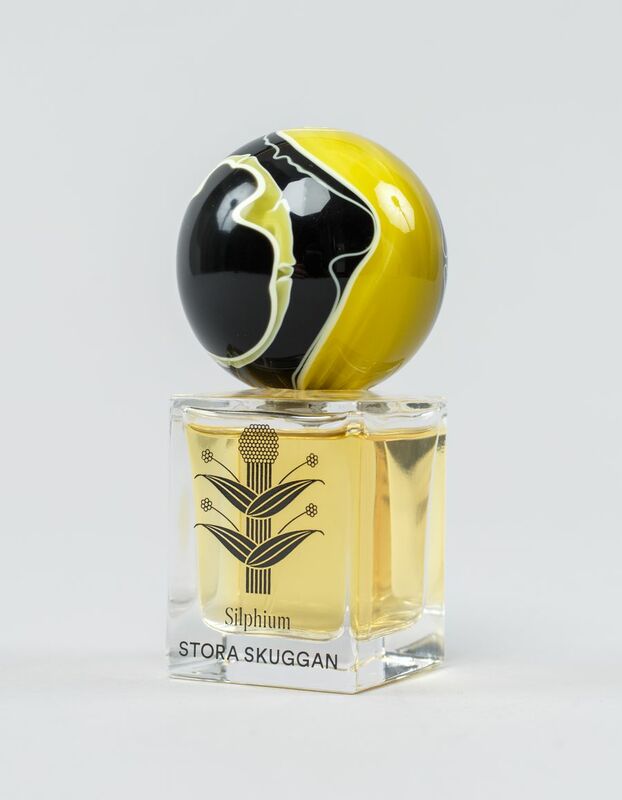 All production – from perfume formulation to branding – is done at the Stora Skuggan fragrance studio in Stockholm. The perfumes are compounded by hand. 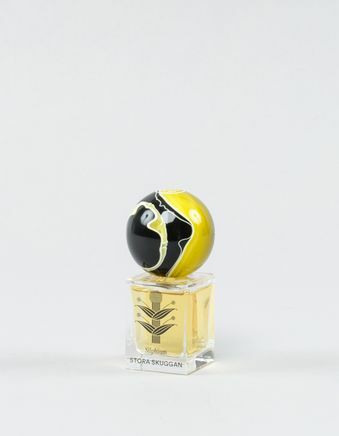 Stora Skuggan perfumes are based on stories that blur the line between myth and reality. 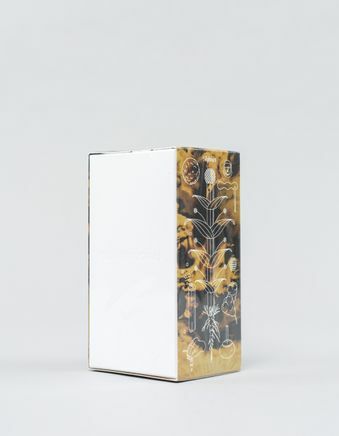 Central to the brand, these tales are conceptualized through scent and art, creating a small universe for each product.